The work-out takes 20 to 30 minutes and can typically be performed every other day, three times a week. Use the Speedball® (or Speedball® Driver) and Power Module. *Caution – This workout is not suitable for golfers who have existing health problems. Consult with your doctor before starting this or any other exercise program. 5-8 minutes warm up on a treadmill, bike, walking, or jumping rope. In order to perform any athletic movement your body must be warmed up, therefore you need the blood flowing throughout your body in order to achieve top club head speed. Always go through a warm-up routine. 5-10 Y drill Swings with the basic SPEEDBALL® target and the Tour Tempo Player Putt Tones: The Y drill trains your swing through impact and this is just more warm-up to get you ready. For anyone that has a handicap of 2 or higher (almost everyone! ), these Y drills are very important, make sure to perform correctly according to the DVD that comes with the Tour Tempo Player. Use the Putt tones that fit you best, I prefer the 18/9 and 20/10. 5-10 L drill Swings with the Small tail SPEEDBALL® target and the Tour Tempo Player Putt Tones. The L drill adds a lever to the Y drill and increases the speed of the swing. The small tail ups the resistance and signals the body that it must “adapt” to the new resistance. Use the same Putt Tones from your Y drill. The overall speed of your swing will increase. 5-10 Full Swings with the Long Tail SPEEDBALL® target and the Tour Tempo Player SWING Tones. The Long tail will signal the body that maximum effort is needed and the SWING Tones (with their drumbeat) will signal the brain to be fully awake. You should experiment with the different tempos and discover which one feels the best and also produces maximum club head speed. I am a big believer in the theory that LESS is MORE. So do not over train, listen to your body and track your swing speed. If your speed is falling, you are probably getting tired, so you should end the workout and Cool Down. Cool Down with a few minutes on the treadmill and/or 5 swings on the DOWN position of the SPEEDBALL® target and/or some light stretching. The preceding workout can be done with a 5 iron SPEEDBALL® and/or a Driver SPEEDBALL®. 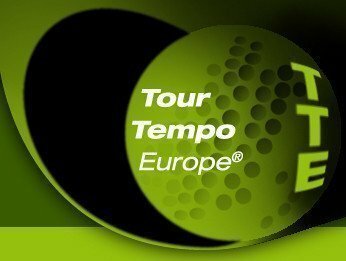 Make sure to stick the target on each swing and also follow the guidelines of the Tour Tempo Player, namely, to REACT and NOT to anticipate.